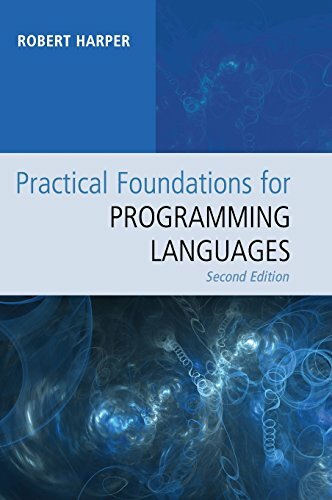 This text develops a comprehensive theory of programming languages based on type systems and structural operational semantics. Language concepts are precisely defined by their static and dynamic semantics, presenting the essential tools both intuitively and rigorously while relying on only elementary mathematics. These tools are used to analyze and prove properties of languages and provide the framework for combining and comparing language features. The broad range of concepts includes fundamental data types such as sums and products, polymorphic and abstract types, dynamic typing, dynamic dispatch, subtyping and refinement types, symbols and dynamic classification, parallelism and cost semantics, and concurrency and distribution. The methods are directly applicable to language implementation, to the development of logics for reasoning about programs, and to the formal verification language properties such as type safety. This thoroughly revised second edition includes exercises at the end of nearly every chapter and a new chapter on type refinements.